If you are interested in booking a room at a luxurious hotel in London, then you will be thrilled to know that you have plenty of options at your disposal. Whether you are interested in a central location, the number of stars or nearby touristic attractions, there is at least one accommodation suitable for you. 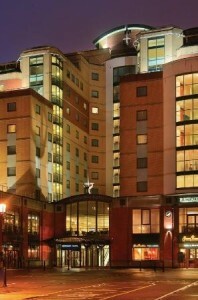 Our warm recommendation is Millennium & Copthorne Hotels At Chelsea Football Club. It is the perfect location not only for travellers, but for businessmen and women as well. You can choose from more than 250 rooms, comprising Standard, Superior, Junior and Luxury Suits. Bars, lounges, restaurants, meeting venues can also be added to your stay. Among the local attractions that are situated at a close distance to this hotel, there are The National Gallery, Kew Gardens and Chelsea Flower Show. For the one located in other districts, you have accessible public or private means of transport. In order to get a Heathrow to Millennium and Copthorne Hotels At Chelsea Football Club Transfer by rail there are three main options. First of all, you could take the train from Heathrow Terminal 1 (every 15 minutes), followed by a Tube from Lancaster Gate Underground (every 5 minutes). This journey will take about 29 minutes in total. The second option is a Tube from Heathrow Terminals 1-2-3 (every 5 minutes), ending with a 15-minute walk. This journey lasts about 1 hour. You can also choose a bus from Heathrow Central Bus Station (every 60 minutes), ending with a 15-minute walk. This trip takes 1 hour and 13 minutes of your time. A Heathrow to Millennium and Copthorne Hotels At Chelsea Football Club Transfer by car can be done by taking the Great West Road/A4 Rd. Heathrow Airport is at a 13.0 miles distance from Millennium and Copthorne Hotels At Chelsea Football Club. This journey will take about 31 minutes, without including traffic. A Heathrow to Millennium and Copthorne Hotels At Chelsea Football Club Transfer with 247 Heathrow Airport Transfer is going to take about 41 minutes, including rush hour traffic. The price for a Heathrow to Millennium and Copthorne Hotels At Chelsea Football Club transfer starts from 36 GBP.